Wartsila has won an order for two new 8000m3 trailing suction hopper dredgers being built for the Adani group, India’s largest private multi-port operator. The contract was sifned in February 2016. 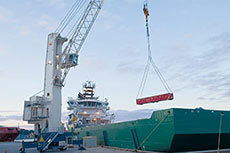 The vessels are te first of a new IHC Beagle series designed by Royal IHC of the Netherlands. IHC will also build the dredgers. We are very familiar with Wärtsilä's propulsion solutions, and are confident that they are a good choice for this new series of dredgers. The vessels will feature high levels of efficiency and maximum uptime, and the reliability and excellent performance of Wärtsilä's main engines are key contributors to this," says Sander Korving, Director Supply Chain Management of Royal IHC. We congratulate IHC on producing this latest dredger design series, and we are proud to have been selected to provide the propulsion machinery. Wärtsilä's global manufacturing resources offer important customer support since, regardless of whether future vessels in this series are built in Europe or Asia, we can produce the needed equipment locally," says Aaron Bresnahan, Vice President, Sales, Wärtsilä Marine Solutions. has earlier supplied equipment to IHC, while for dredgers and other port vessels owned by Adani, Wärtsilä has delivered its Vessel Fleet Management and Remote Monitoring systems. Terex Port Solutions has received an order from Associated British Ports for two electric Terex® Gottwald Model 8 portal harbour cranes. 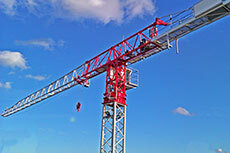 CJ Korea has ordered two M50 mobile harbour cranes from Terex, to be commissioned in August. 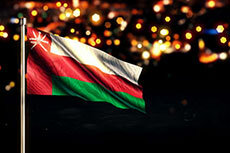 A group of Chinese investors have signed an agreement to build an industrial park at Oman's southern port of Duqm. 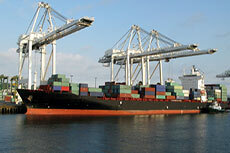 Facts and figures put together by the World Cement team for our Ports and Terminals supplement.